Attending a long-term coaching program may not always be feasible. Or you may not be that familiar with coaching and could be rather skeptical about it. A presentation or workshop could be a better option for you. Whether you are dealing with communication breakdown among you and your team members, too much stress and not enough time, emotional insecurities, or not enough team members performing at their best, my presentation content is practical and realistic. Workshops, lunch’n learn programs, retreats, breakout sessions, or presentations – whether as a 1-hour program, 1/2-day, full-day or 2-day retreat, can be a viable option to invite you and your team to discuss critical topics and upgrade important business relation skills. As a skilled speaker, facilitator, and coach, I keep my topics very pragmatic, interactive, and flexible. Based out of Atlanta, Georgia I travel nationwide to deliver keynotes, workshops, and breakout sessions to organizations or associations. The quality of our conversations determines the quality of our lives. Inefficient conversations are costly, highly frustrating, and often a waste of time. Now we have the neuroscientific proof of how miscommunication impacts our health. After all, they are often the reasons for increased conflicts, higher divorce rates, and business failure. A Benchmark Communication survey has shown that nine out of 10 conversations miss the mark. In this educational program, Iris combines neuroscientific research with practicality, and she explains the most important skill that any business person needs to master. Emotional Intelligence and Competence – Two Critical Factors For Business Success. Skills in emotional intelligence (EI) not only help leaders build trust faster with their teams but also understand, engage and motivate them. They are essential for relating, dealing well with conflict and creating workable solutions to complex problems. At all levels, emotional intelligence impacts the culture which directly impacts turnover, relationships, and performance. When the development of the EI of the team leaders is ignored in favor of a view that “intellect”, organizations make themselves susceptible to employee disengagement and low morale. Who is to say that you can’t teach an old dog new tricks? After working in the personal development industry for more than 18 years, Iris Grimm shares with you three critical principles that can make a difference not only in their work performance but also in their outlook of life. Stress – let it go for good! For many people, stress is part of their everyday life. When you read about stress management, most likely you will be reminded of habits such as exercise more frequently, meditate daily, take frequent breaks etc, which require more time which you, of course, don’t have. To optimize your performance and avoid burnout, you cannot just manage stress. You want to reduce it as much as possible by changing your perspectives, transforming your environment with systems and processes, and simplifying life and work. Learn in this practical program how to reduce stress, how to lead yourself when the world around you seems crazy, how to make more time for the important things in life, and how to experience more work-life balance. Stress is personal and by you transforming your perspective and environment, you will become an even greater resource for the people around you. When a life- and leadership coach gets into training her dogs, you can bet that she will not only get a well-trained dog but that she will find many parallels to teach her human clients about life. Dogs are not only our life companions that give us unconditional love and help us relieve stress but when we listen closely to their messages and energies, we can learn from them a lot about good leadership. In this entertaining presentation, Iris Grimm will share her top leadership lessons that dogs taught her and how they can help you to become a better leader. After this presentation you will look at your 4-legged friend from a new perspective and listening to Iris could transform the relationship with your dog. P.S. This presentation can also be adjusted to “Life Lessons Learned from Dogs.” There is so much we can learn from dogs when we are ready to listen. 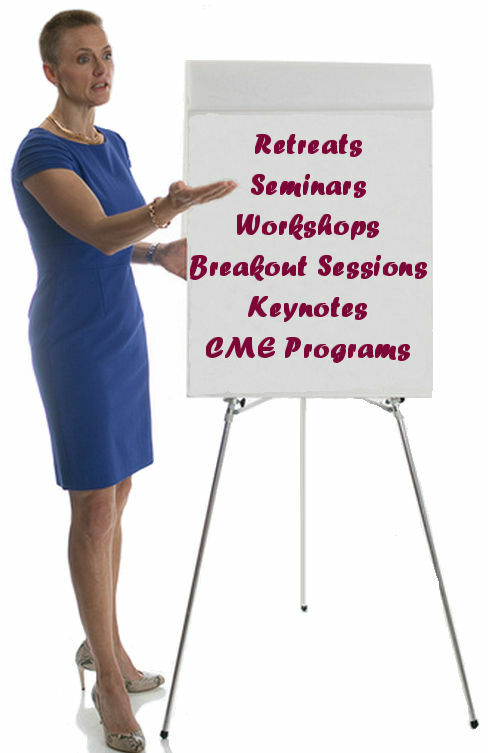 Do you have an upcoming retreat, conference, or training day where you want to provide a meaningful, dynamic presentation? If you are looking for a practical, solution-oriented, engaging, and customized program, I invite you to call me. You will get a better feel for who I am and what I aim to provide for my audience. Click here to schedule a conversation with me!